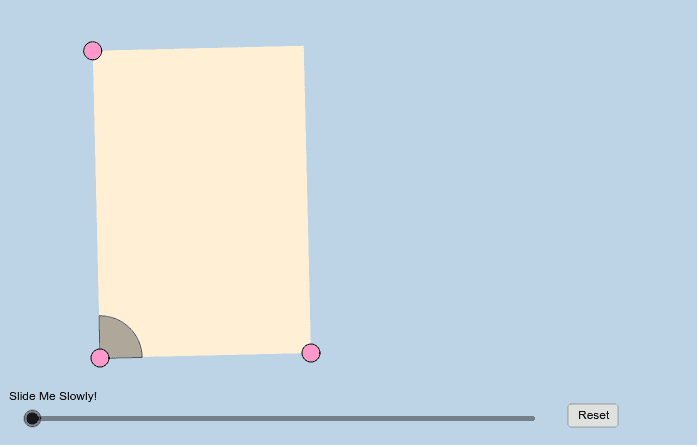 Slide the slider slowly in the applet below. Be sure to repeat this process a few times, making sure to change the locations of the rectangle's 3 pink vertices each time before re-sliding the slider. What properties illustrated by this animation are unique to rectangles (and not to other parallelograms)?